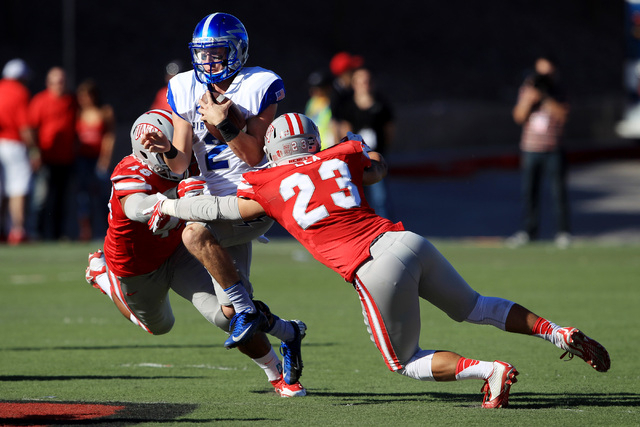 The Rebels lost again Saturday, and just how much the program has descended was on display in an embarrassing 48-21 loss to Air Force. 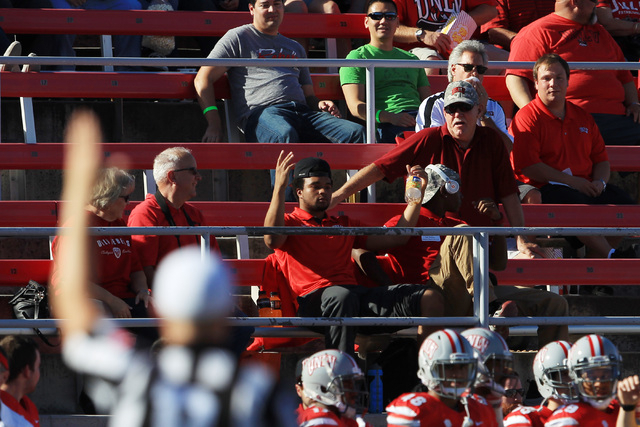 That UNLV football is broken is not news, but the problem is no easy answer exists concerning how to fix it. 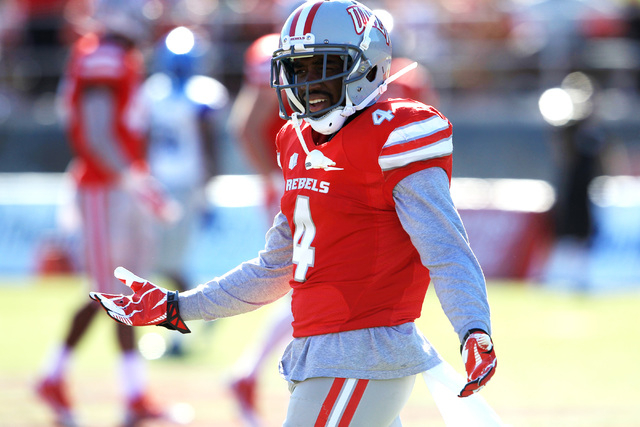 The Rebels could bring in another coach, but that hasn’t proven to be much of a solution. 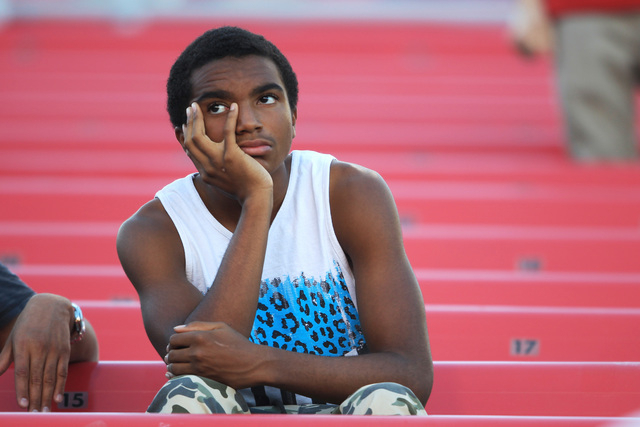 Sam Boyd Stadium is eight miles from campus, and the facilities at UNLV are so-so. An indoor practice facility is on the wish list, but even if that’s built, does it create the spark the program needs? 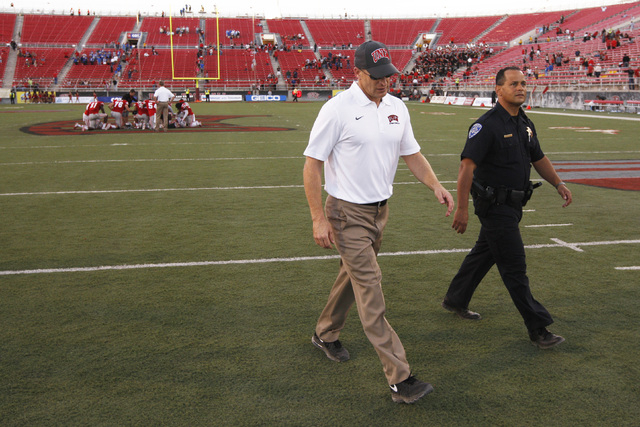 And while the Rebels’ players might have the size coach Bobby Hauck sought when he took the job in December 2009, he has never adequately recruited speed, putting UNLV in the constant position of chasing opponents from behind. 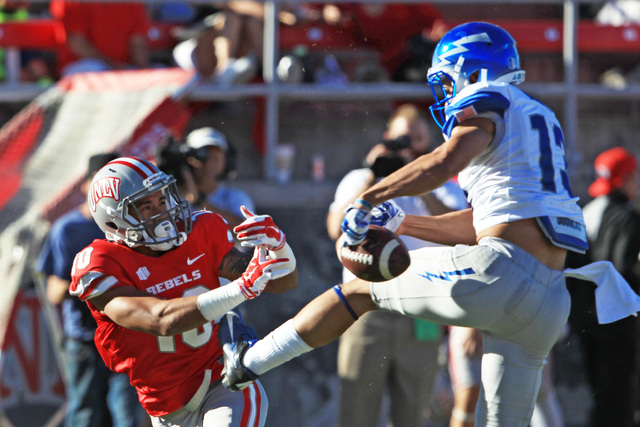 The Rebels did that again Saturday, and just how much the program has descended was on display in an embarrassing 48-21 loss to Air Force that could have been worse had the Falcons not backed off in the fourth quarter. 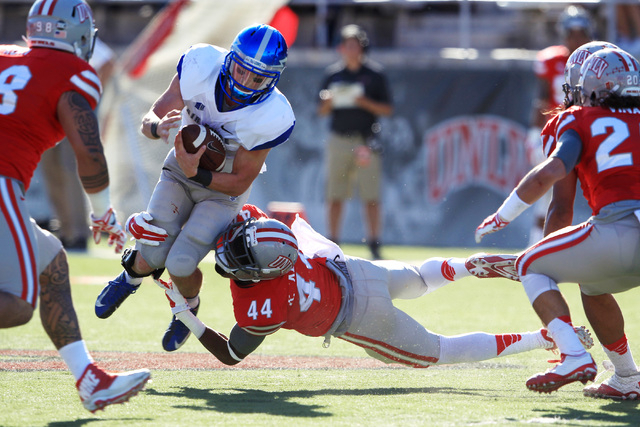 Along with the game, the Rebels (2-8, 1-5 Mountain West) lost quarterback Blake Decker late in the third quarter. 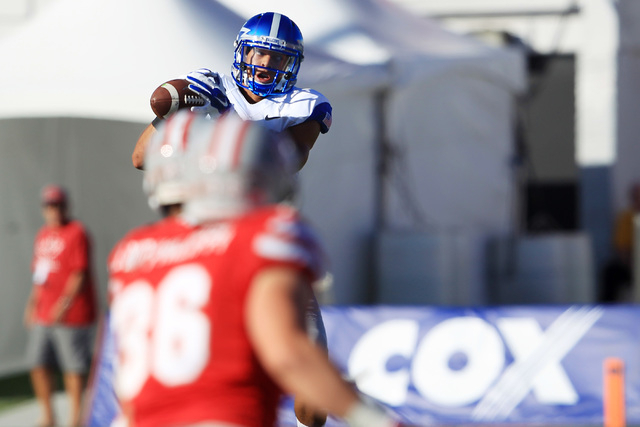 The prognosis on Decker, who was sacked five times, was unknown, Hauck said. 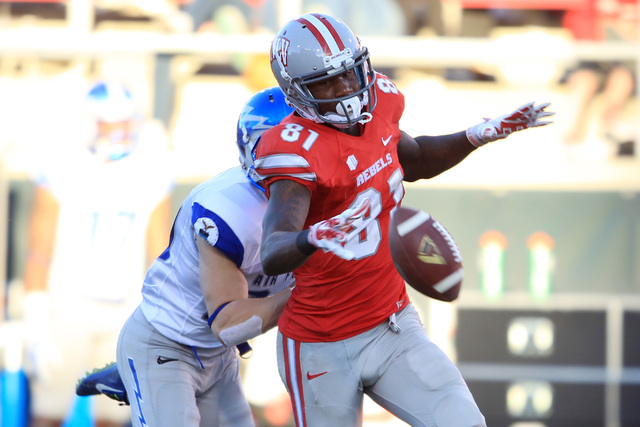 Decker was 18 of 32 for 263 yards and a touchdown. 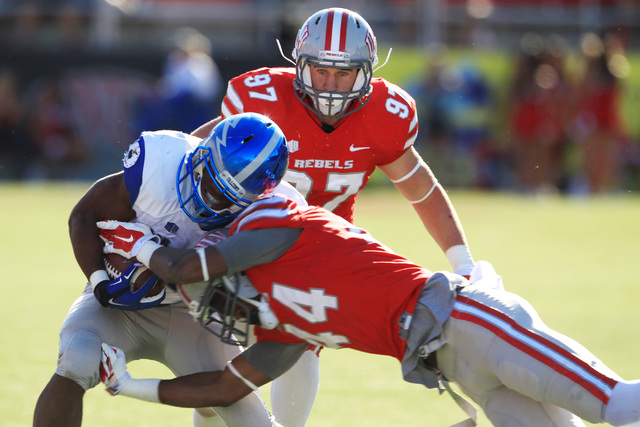 Redshirt freshman Jared Lebowitz finished the game for the Rebels, completing 3 of 12 passes for 18 yards. Davis made his first appearance since Sept. 20 at Houston. 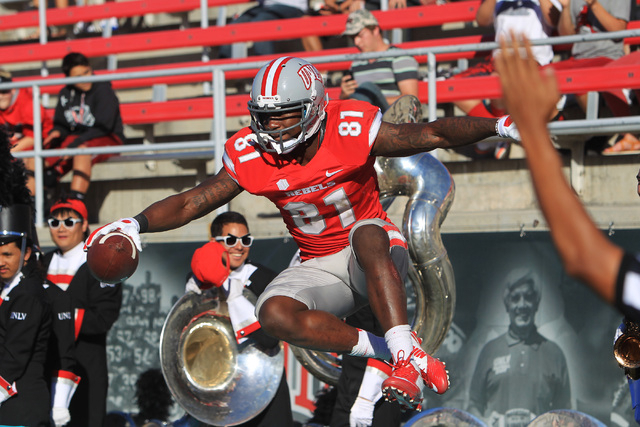 He had been out with an injured right wrist, and against Air Force (7-2, 3-2), he caught six passes for 114 yards and a touchdown, tying him with Sam Greene (1979, 1980) for third in school history with 21 career TD grabs. 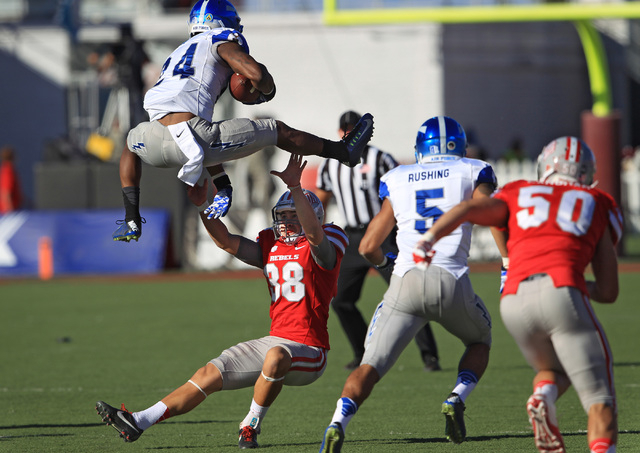 Phillip Payne is the record holder with 26 from 2008 to 2011. 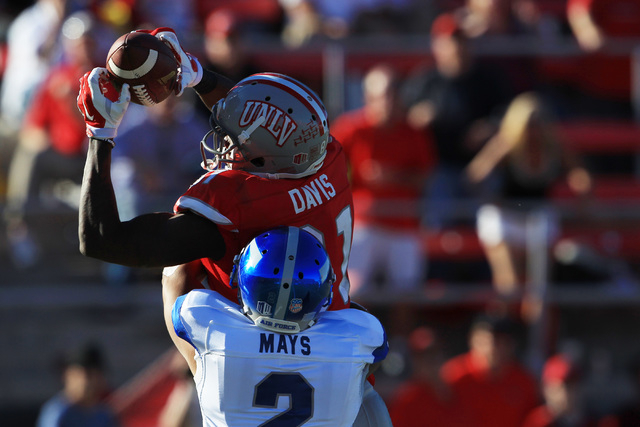 But this isn’t the kind of season Davis had in mind when he decided to return for his senior year. Not after last season’s Heart of Dallas Bowl appearance. Senior guard Brett Boyko said the team still has a good attitude and that the willingness to compete isn’t the issue. 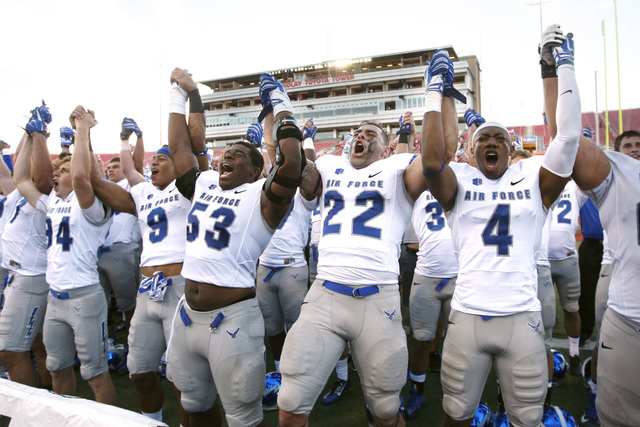 Air Force, a 5½-point favorite, quickly blew through the betting line, taking a 31-14 halftime lead and extending it to 38-14 one drive into the third quarter. The statistics were just as one-sided. 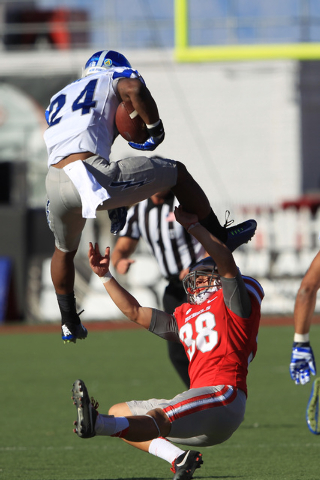 Air Force outgained UNLV 542 yards to 339 and possessed the ball for 37:03 to 22:57 for the Rebels. 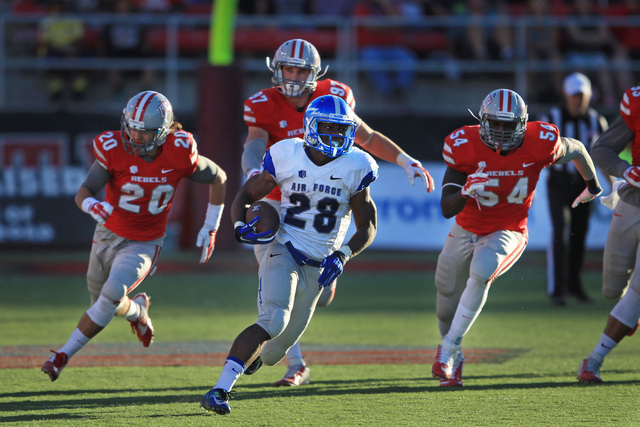 Centennial High School graduate Jacobi Owens led the Falcons with 135 yards rushing and a touchdown on 18 carries. 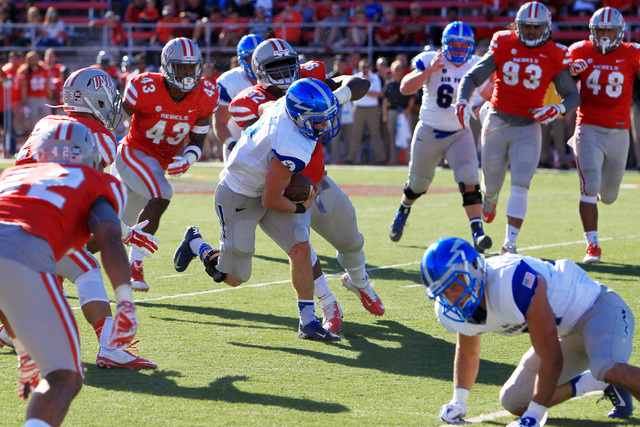 He is 12 yards short of 1,000 for the season, but Air Force coaches held him out the last half of the fourth quarter rather than let Owens go for the milestone in his hometown. 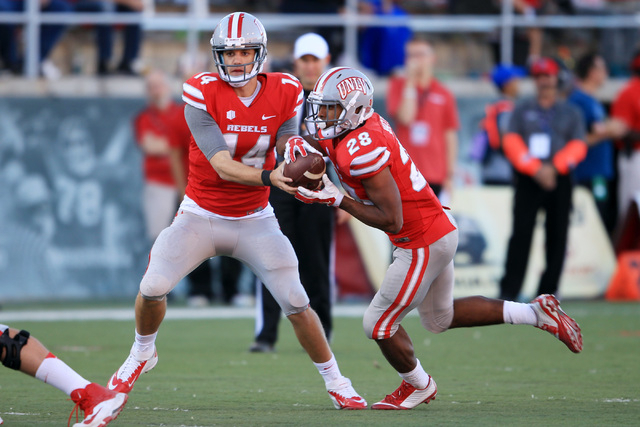 UNLV’s priorities are to find something, anything, and the next opportunity is Saturday at Brigham Young. 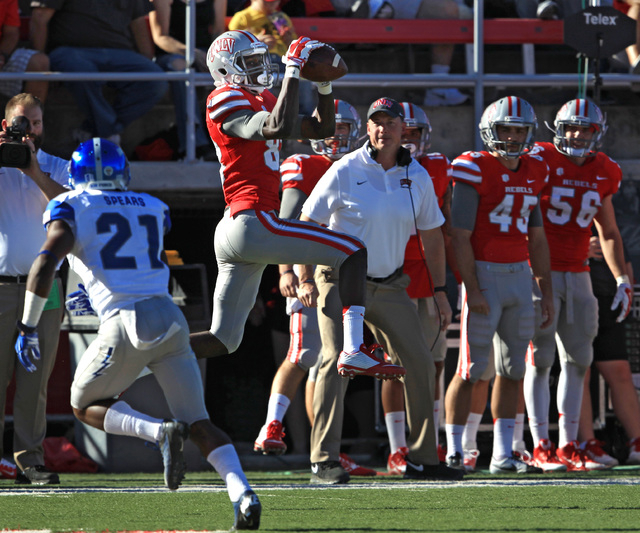 The Rebels have two games after that before the season comes to a close. 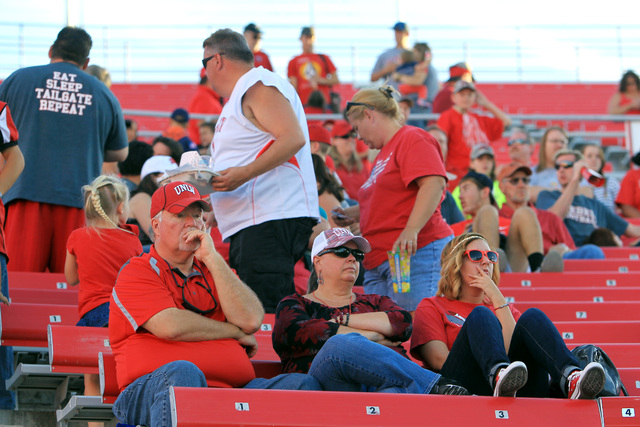 Rebels athletic director Tina Kunzer-Murphy then will have some series decisions to make. 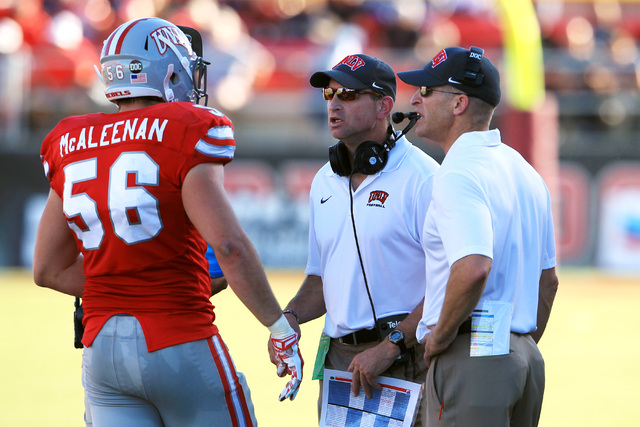 The most pressing is what to do about the coaching situation. 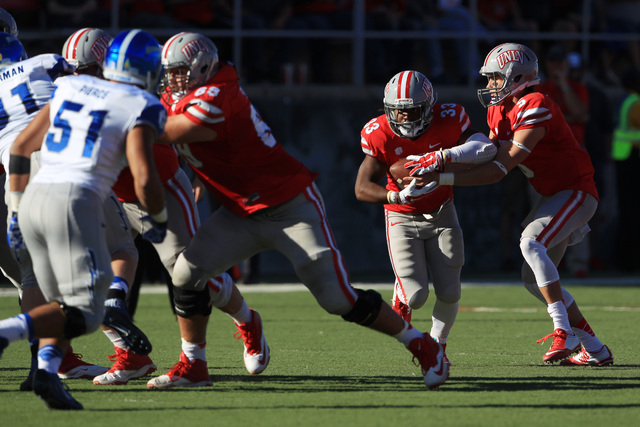 New blood wouldn’t necessarily equate to more victories, however, and Kunzer-Murphy will need to take a hard look at the program’s overall health. As will the university and the boosters, because the AD can’t do it alone. The program is broken, and no easy fix is in sight.